Whether or not to run advertising is surely a hot topic in the Netflix boardroom. On one hand, Netflix risks death by social media if they begin running Hulu-esque pre-roll. On the other hand, incorporating useful ad supported features is a tempting way to offset some of the rising costs of content licensing. 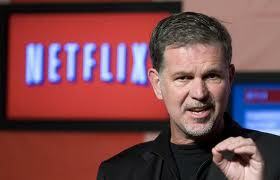 We’ll leave the final decision to Reed Hastings. But, if Netflix were to incorporate advertising, here are the three ways to do it without causing (another) user revolt. The Netflix streaming interface sorts its content into genres, why not a “In Theatres Now” genre? Film distributors would gladly pay for prominent placement in the channel and people love movie previews. This addresses a need that is not really met by YouTube, IMDB or Moviefone especially since these online destinations have not truly migrated to TV screens yet. Netflix could become the go-to destination to watch previews while you’re on the couch and in front of your big screen. That sounds like an entertaining and relaxing way to help pick what flick to see on your date night out. Even better, Netflix can put on its biz dev hat and let users pay for movie tickets within the "In Theatres Now" interface. To do so would require a rev-share deal with a ticket broker like Moviefone or Fandango, but Netflix already has customers’ billing information and email addresses so payment and fulfillment are already in place. Most people welcome the onslaught of Christmas themed movies during the holiday season. That’s why year after year, TV networks show us the same movies again and again. 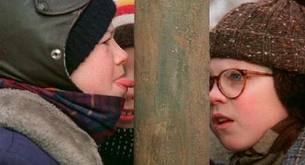 Instead of a Christmas Story on repeat, Netflix could aggregate dozens of Christmas movies in a themed channel – an improvement over the TV model. A sponsorship of this channel during the shopping season would make a compelling proposition to Wal-mart or Target. At $600 million per year, Netflix is the U.S. Postal Service’s best customer. To offset those charges, Netflix could begin selling targeted advertising as an insert within the Red Envelope. As late as Q4, Netflix still had 10 million DVD by mail subscribers, that dwarfs the distribution of most national magazines and newspapers. Isn't there already theatrical/dvd advertising in every netflix envelope? Thanks for the link - interesting blog. I love how Reed Hastings is dedicated to preserving the red envelopes as an unblemished beacon of the brand. I do believe Netflix has ads for movies on the envelopes - yet I'm uncertain if they realize any revenue from that as it is likely a perk built into the licensing contracts. Not sure. The opportunity it does not take advantage of would be to use its registration and streaming data to target precise households.